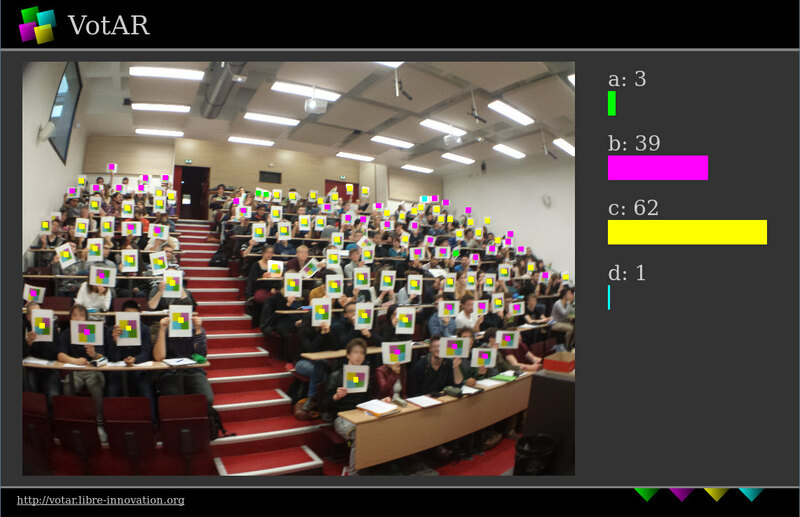 VotAR is an Augmented Reality audience Voting or audience survey system. 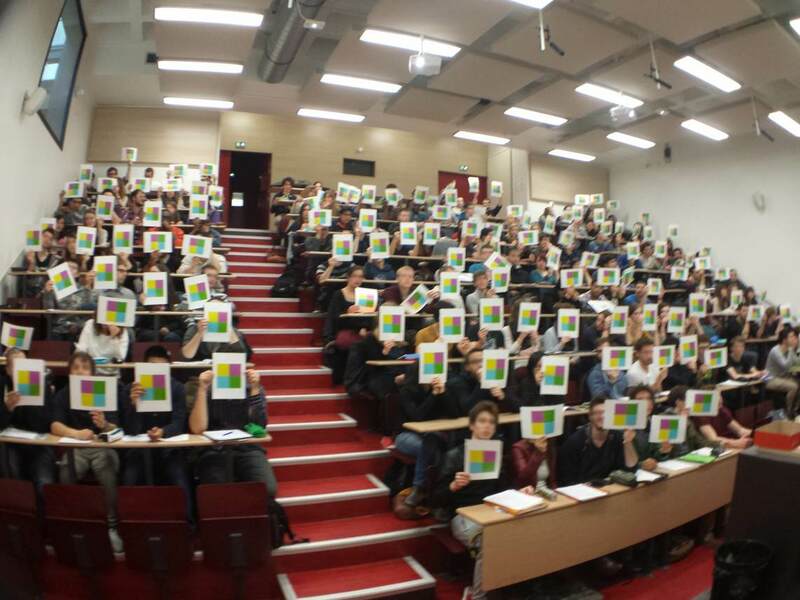 Your audience hold some papers with a special printed symbol to vote, and as the speaker you take a photo of it with this app, it will analyze the photo to count the votes. You want to get your audience feedback for a course or a conference ? You want to add something fun, high-tech, low-tech, simple and geeky to your presentation ? You don't want to spend thousands on clickers ? Please read the user guide carefully. License: the project source code is distributed under the free/libre GNU Affero General Public License.